To present you with our fantastic range of glasses and eyewear, we started with a plan. Firstly, all frames and eyewear must be high quality. Second, they must convey style. Because glasses are not only to see well, but also to look good. Finally, the range must be extensive in fashion and value. At InFocus Optical, we have hand-picked a range of high quality spectacle frames and lenses. Our offering has been selected to suit all budgets. We want to ensure you can have the latest fashion and quality lenses at competitive and affordable prices. We have done this by meeting with different suppliers to pick the best each has to offer. Our range is regularly reviewed because we want to offer you the current styles. Come visit us to discover the perfect glasses for yourself. Designer, classy and latest fashion women’s glasses. Classic, modern and stylish men’s glasses. Fun, functional and durable kid’s glasses. Build your perfect pair of glasses with our leading selection of frames. From luxury designer and everyday fashion to affordable classic styles, we’ve built our range to suit everyone. Our brands include Gucci, Calvin Klein, Marc Jacobs, Kate Spade, Lacoste, Nike, FILA, Fossil, Ted Baker, Longchamp, Furla, Police, Elizabeth Arden, Sass & Bide, Oroton, Nicola Finetti, Wayne Cooper and more. Best of all, our frames all come with a 2 year warranty. All you need to do now, of course, is add quality lenses. We stock a great range of sunglasses for you to try. From stylish classics to the latest designer fashion, we have a pair for you. Whether you need prescription sunnies or just a plain pair, we are here to help. Don’t let your eyes fry! Make sure your eyes are safe from harmful UV light. Our sunglasses are all certified to Australian standards. In the long run, we all want the best for your eyes. After all, you only have one pair. Find your perfect pair of sunnies at InFocus Optical. We have partnered with lens supplier HOYA so that our patients receive the best. HOYA was in fact Japan’s first manufacturer of optical glass since 1941. Equally important, they continue to develop high-quality products, in particular, their materials and multifocal designs. Likewise, their philosophy remains “to develop the best quality and most innovative products”. Most of our glasses are professionally fit by HOYA right here in Melbourne. We are well supported by their specialist knowledge and lens expertise. Furthermore, be sure to ask about HOYA Diamond Finish. Everyday wear and tear can lead to scratches on your glasses. This can affect its appearance and performance. Because of this, we recommend HOYA’s Diamond Finish. The Diamond Finish coating is designed to protect your lenses from life’s everyday mishaps. The advanced technology of Diamond Finish provides you with the highest scratch resistance available. It offers 5 times more scratch resistance than standard multicoats in the market. This, in turn, ensures long-term durability and excellent performance. Diamond Finish multicoated lenses will significantly reduce glare and eliminate reflections. It provides clearer and more comfortable vision outdoors and especially at night. Diamond Finish lenses are also much easier to clean through its unique, dirt, water and chemical repellent qualities. These highly developed lenses and will stay cleaner for longer, meaning your vision stays clearer. As well as giving you 100% UV protection, stay safe with our guarantee. We will replace Diamond Finish lenses for free if they scratch in the first 12 months of owning your glasses. Did you know? About 95% of eye injuries treated in Australia are a result from lack of attention to basic eye safety. There’s a lot more to eye protection than just putting on a pair of safety glasses. There are many products available in the market which claim eye safety. 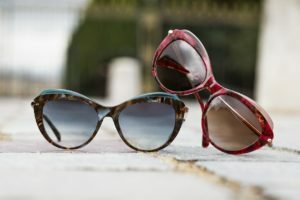 Most importantly, by having a good understanding of the different kinds of eye protection, you can make an informed choice. All things considered, find the solution that is best for you. Different situations require different types of protective eyewear. The main types of protective eyewear are safety glasses, safety goggles and face shields. The HOYA Safety Prescription range is available in the revolutionary Phoenix material. Of course, it is available tinted and non-tinted, as well as polarised and photochromic. 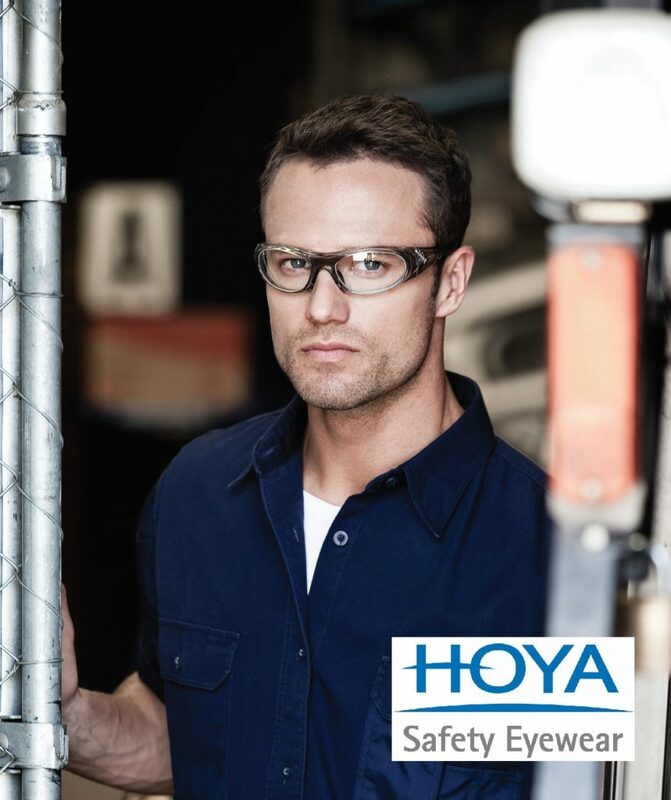 Likewise, the HOYA Safety Eyewear options include single vision, bifocal and multifocal lenses. When considering safety glasses, one of the most important parts are the lenses. The Phoenix lens material by HOYA is the most suitable safety eyewear lens. Accordingly, it meets all safety requirements, coupled with certification by SAI Global. We offer a wide range of contact lens options. From daily disposable lenses to custom-made lenses. We fit every patient accordingly, in the hope that they realise their best vision. Whether it be for sport, special occasions or instead of glasses. Contact lenses, all in all, are a great option. We have a particular interest in specialty contact lens designs. We use custom lenses for myopia control. This is also known as OrthoK (orthokeratology). We have experience with eye conditions such as keratoconus. And even more knowledge of corneal grafts. We usually fit soft lenses. Hard lenses are custom designed as necessary. For some cases, miniscleral lenses become the ultimate solution. In short, our optometrists are particularly keen on contact lenses. In fact, one worked many years in specialist contact lens clinics. If you've been told previously your script is not suitable for contacts, it might be worth a second opinion! Ready to discover your next pair of glasses? Drop by in order to find your perfect match!